Cats have a more complex brain than dogs (no surprise here!) although it’s the size of a golf ball. The feline brain has about 300 million nerve cells, and it takes up only 0.9 percent of the total body mass. Yes, cats have a great memory, amazing problem-solving skills, and massive patience to ignore their owners. However, just like other animals and humans, their brains are prone to various problems that affect its function. 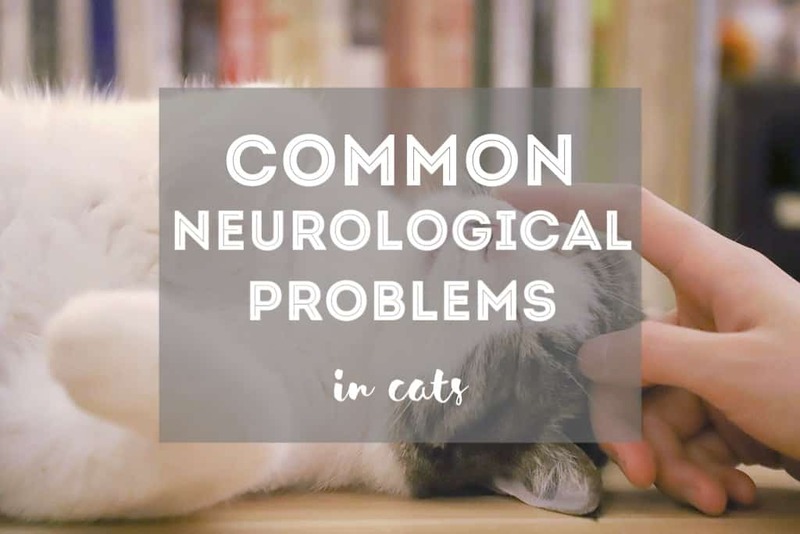 In this post, we discuss the most common neurological problems in cats you need to know about. Can Cats’ Central Nervous System Repair Itself? Meningioma is a type of tumor that affects the meninges, the membranes that cover the brain and envelop the central nervous system. Although a plethora of different conditions can affect the feline brain, meningioma is the most common. In fact, some estimates show that about 60% of cats develop this tumor . Every cat breed can develop meningioma. The disease is more prevalent in cats that are older than nine years. abnormal mental state or behavior, and seizures. That being said, seizures are more common in dogs than they are in cats. Despite its wide prevalence, most cases of meningioma are benign. While in dogs meningiomas invade brain tissue, in cats that rarely happens which is why the tumor is easy to remove. Continued expansion of the tumor can, indeed, increase pressure on the brain . This explains why it’s important to take care of meningioma in a timely manner. As soon as you notice changes in the cat’s behavior or the way your feline moves make sure you schedule an appointment to see the veterinarian. The vet will perform a physical exam and order some tests whose goal is to rule out some other diseases. For more accurate results, the vet also recommends an MRI or CT scan to identify lesion and their localizations and size. In some cases, a tissue biopsy is needed for the process of diagnosis too. After diagnosing the tumor, the vet suggests the most suitable treatment option. The most common treatment method for meningioma is surgical removal. In most cases surgery is successful, and there is no need for any additional treatment. Many cats live years after beating their tumor. However, sometimes surgery is not an option because the tumor is inaccessible or too invasive. In these cases, radiation therapy is the answer. 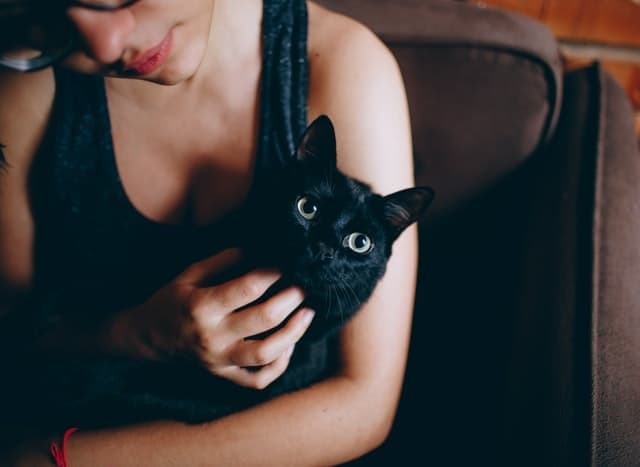 Treatment of meningioma also involves dietary modifications, fluid therapy, and you would also need to make sure the cat takes medications that control the frequency and intensity of their seizures. Epilepsy is defined as a brain disorder indicated by seizures or physical attacks that occur suddenly and without the cat’s control. As one of the most common neurological disorders in cats, epilepsy can occur not only when the feline is conscious, but even when it’s unconscious. Idiopathic epilepsy – occurs when no underlying brain lesion is present, also called “primary” epilepsy. Some reports show that all cats those experience seizures have a structural brain disease why is why idiopathic epilepsy is relatively rare in the feline world. Symptomatic epilepsy – also referred to as “secondary” epilepsy this condition indicates the presence of an underlying brain lesion. Probable symptomatic epilepsy – or “cryptogenic” epilepsy is the result of brain lesions that can’t be identified. Reactive epileptic seizures – not necessarily linked to brain damage or lesions, but a result of toxic and metabolic causes. Epilepsy usually happens due to defects in the electrical transmission of nerve signal in the feline’s cerebral cortex. The cerebral cortex is a part of the brain responsible for memory, learning, and voluntary muscle movement. Epileptic seizures involve a variety of symptoms, but the most obvious sign is that the cat looks confused and scared. Sometimes the cat may even want to hide from you or look for you (their own way of asking for help). During the seizure, the cat tends to fall to the side and it can either urinate, vocalize, stiffen, chomp the jaw, drool too much, or paddle with limbs. A typical epileptic seizure lasts for about 90 seconds, and they tend to occur in cats that are between one and four years old. Based on the symptoms you describe the veterinarian will suspect epilepsy could be to blame, but they may order some tests such as thyroid screen, complete blood cell count, urinalysis, MRI, and CT. Treatment involves anticonvulsant medications. Infectious disease is a condition caused by pathogens such as bacteria, viruses, and parasites. Feline infectious diseases are numerous. They include encephalitis or inflammation and swelling of the brain and meningitis or inflammation of the meninges. Feline infectious peritonitis (FIP) is yet another infectious disease that can affect the cat’s brain. 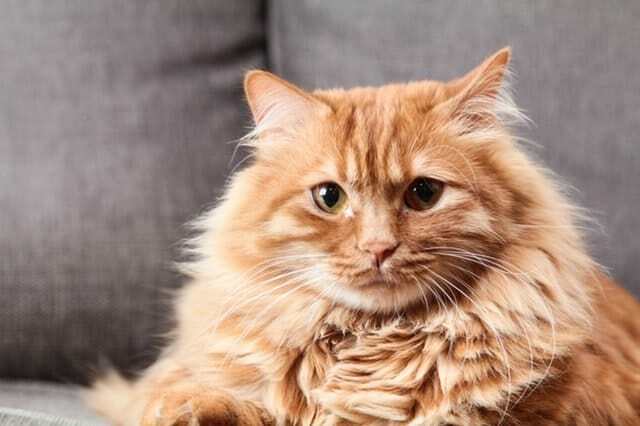 The disease is caused by a strain of a virus caused by a feline coronavirus, but it’s important to mention that most strains of this particular virus do not cause an infection. At the very beginning, FIP is asymptomatic, but as the disease progresses the intense inflammatory reaction around blood vessels can affect cells in the brain, kidneys, and abdomen . It’s not uncommon for cats to have bacterial infections such as those affecting middle-ear and inner-ear cavities that break through the skull, reach the brain, and cause the infection. Many of these diseases are asymptomatic, but the diagnosis process differs. The vet is the one who chooses the best tests to discover what’s going on. The success of the treatment depends on the timely diagnosis and cats do just fine when the infection is caught and treated early. Congenital or birth defect is a term that refers to abnormalities of function, structure, or metabolism that are present at birth. Some congenital defects are inherited while others occur due to chromosomal abnormalities. 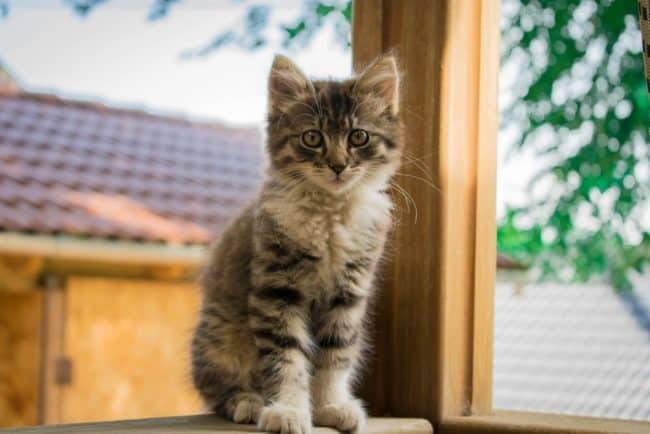 Other factors can cause congenital disorders in cats too, such as infections in utero, some medications, chemicals, and environmental toxins, hyperthermia, nutritional factors, just to name a few . 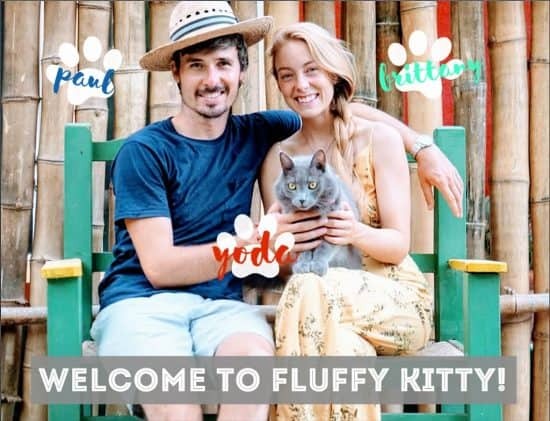 Sometimes kittens are born infected with the feline distemper virus, a highly contagious life-threatening viral disease. Kittens that are born with this virus immediately exhibit a severe lack of coordination. Although this problem doesn’t have a cure, an affected cat can still live many years. Hydrocephalus is one of many congenital disorders affecting kittens. The term refers to the presence of an excessive buildup of cerebrospinal fluid which can enlarge the skull and cause compression of the brain. Despite the fact that congenital defects are serious and they are difficult to treat, some cases of hydrocephalus can be addressed successfully. A vet may recommend surgery to drain the excess fluid from the feline brain to abdomen. Vestibular disease – causes vertigo, the cat appears dizzy, drunk, have a head tilt and a rapid eye movement. The disease occurs due to pressure on the nerves that regulate the vestibular system. Cognitive dysfunction – or dementia, most prevalent in senior cats. It’s similar to Alzheimer’s disease in humans, and it leads to symptoms such as memory loss, depression, and confusion. Cats have a complicated central nervous system, and there’s still a lot we need to learn about it. We can easily say that their brains are as mysterious as they are. For example, chances are high you didn’t know that cat’s central nervous system can repair itself. Seriously! A team of researchers at the University of Wisconsin-Madison carried out a study to investigate a neurological affliction in cats, and they made truly remarkable findings. The study was based on an earlier discovery that showed cats using diets that had been irradiated experienced a decline in neurological function. When taken off the diet they recovered slowly and restored the functions they lost. The study confirms that extensive remyelination leads to recovery from a serious neurological disorder and shows that the feline brain can repair itself. Underlying mechanisms associated with this phenomenon are still not clear. Myelin is a fatty substance that acts as a protective coating around nerve fibers . Cats are not immune to neurological problems just like other animals and humans. Neurological problems in cats are numerous ranging from dementia to tumors. Every brain disorder comes with its own signs and symptoms that affect the way your cat acts and moves. It’s important to notice small changes in cat’s behavior or routine and schedule an appointment to see the vet when they occur. Diagnosing the problem early is important for a successful recovery! Previous Post Cat Head Pressing | Why Do Cats Head Press?